Two weeks ago, I wrote up an overview of How Important Franchising was to the US Economy, based on Steve Caldeira’s presentation to CAFA. 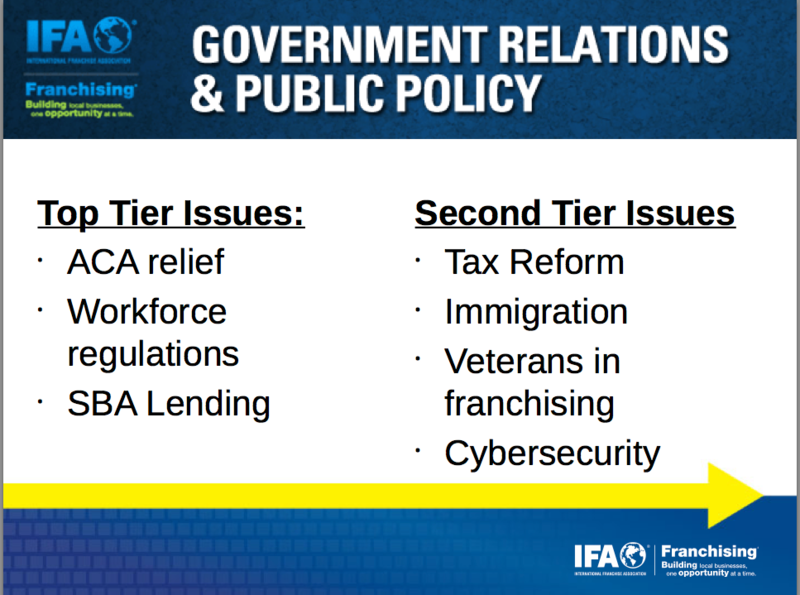 Here is an overview of the IFA’s top concerns. Now, I found it very interesting that the IFA, which is mostly comprised of franchisors, would be interested in “Workforce Regulations”. Franchisors leave it to franchisee owner’s to obey all state and federal workplace laws. 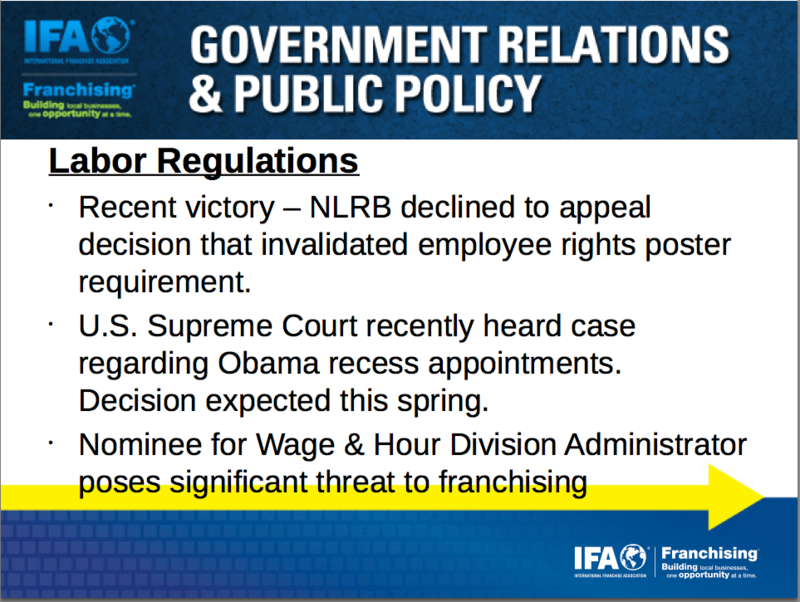 But, why are franchisors worried about David Weil, “the nominee for Wage & Hour Division Administrator”? The audience didn’t get an chance to ask Steve more about this, so I am putting this out there. Why is the franchisee’s failure to comply with local state and federal Wage and Hour laws a concern for the franchisor? I don’t get it.